A regional publisher is to cease publication of a weekly newspaper as it considers the merger of two nearby sister titles. Newsquest has confirmed it will be taking the Prestwich & Whitefield Guide online only, with the last printed issue of the paper due to come out on 4 December. The company is also considering merging the Sale & Altrincham Messenger and the Stretford & Urmston Messenger following a strategic review. Staff at the Guide are based at Newsquest’s Bolton office, and no roles are affected by the print edition’s closure. Content relevant to Prestwich and Whitefield will continue to appear in the Bury Times. 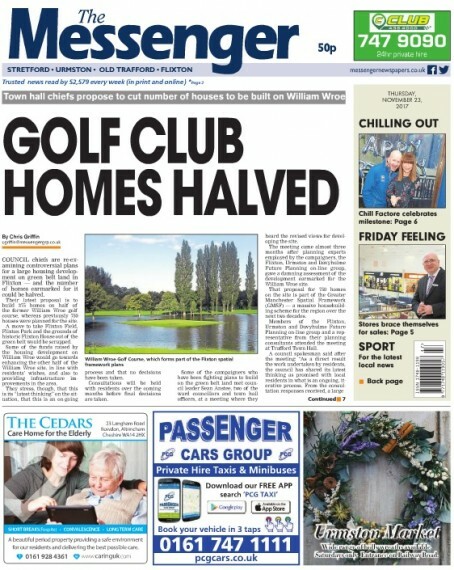 A Newsquest spokesman said: “Following a strategic review, the Prestwich & Whitefield Guide will continue as a digital edition only from 4 December. “All Prestwich & Whitefield related content will continue to be included within the print edition of the Bury Times and no positions are affected. Hold your horses… Didn’t a senior Newsquest executive tell fellow editors that the company’s “big innovation” is print? And it was only a couple of weeks ago that he said it! Rather than investing in the publicatikns themselves or the quality of staff in the business it seems they’re hell bent on reducing the number of titles in their rapidly dwindling portfolio to fit the number of staff left in the company.